Visiting Bratislava and wondering what to do/see here? Living in the city and looking for tips on what’s currently going on? Welcome to our blog then! We’ll point you in the right direction and introduce you to the must-see places and things to do – so you can experience the beauty of our city fully. Maria and Zuzana, two Slovak girls who moved to Bratislava over 12 years ago, met at work and became best friends. This city is our home. Visiting places, taking photos, trying new things and writing about all this is our passion – we fill these pages with our life, adventures and personal tips. You’ll also find here reviews on restaurants and cafes, galleries and museums, tips for night life, social events and basically everything we find interesting and worth of experiencing. My name is Zuzana and when you get into the Circle of Trust, you can call me Fifi as my friends do. I was once told that I look like Donna from Beverly Hills (it was not meant to be a compliment). Several years ago I discovered I feel like an onion, having too many layers of moods and features. I can be very active, easy-going, funny, crazy and social but also lazy, moody and serious. Pick the right day to meet me: D I believe in the potential of human mind and power of positive thinking. When I get angry at people, I try to imagine them with angel wings. Crossfit and books are my passion. One day I will conquer the Spartan Race Beast for sure! I like travelling, vexillology and baking. I cannot sing but like to do so. What I lack in singing, I make up for in dancing. I am not scared of trying new things and living my life to the fullest. I have lived in California, China and Denmark but missed Slovakia too much and decided to return. 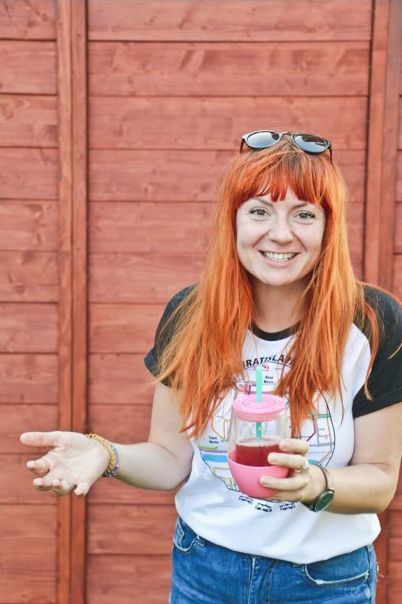 When Maria approached me with the idea to join her in blogging, my response was Hell Yeah! Evka is kind of a hedonist. Simply loves those lazy Saturdays when you go just for an afternoon coffee with friends and all of a sudden you find yourself in a film club or a gallery, and go home after midnight with an empty wallet but a happy belly filled with good dinner or some nice drinks. She lives in Bratislava for more than 8 years now, so already having some favorite places there. But it always cheers her up when some new spots are opened and the last few years there have been so many that still need to be explored! 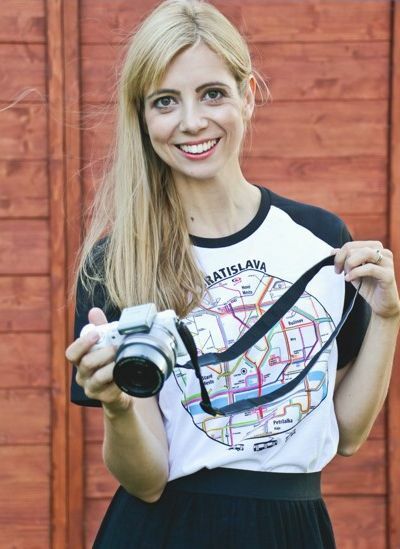 Writing for WelcomeToBratislava helps her to pretend that all the hedonist things she does are for a sake of something higher – to help visitors see how cool Bratislava can be if you know where to go! For Nika, Bratislava is her real home since she grew up here. She is totally in love with the city but she’s always been passionate about exploring another parts of the world. So after the high school she decided to turn her passion into reality and currently Nika is studying Tourism management in Denmark. She had a chance to live in Italy for 3 months where she felt in love with their cuisine and culture. Travelling and getting to know another people as well as their culture is what she loves the most. 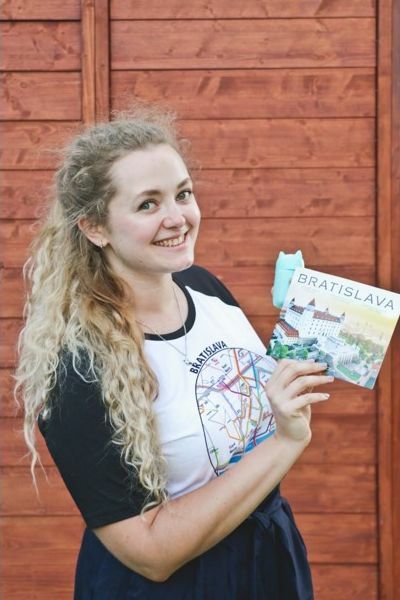 Her dream is to help Bratislava to be recognized among tourists, and she believes that by writing for WelcomeToBratislava her dream might come true. 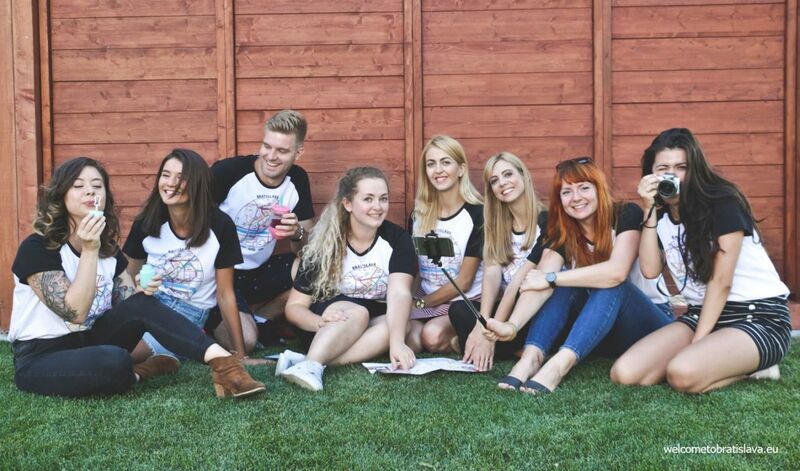 Jen’s Bratislava adventure started in 2016 when she left the US and moved to Slovakia to follow her love. She originally comes from Long Beach and has background in the gastro world having managed teams in some of the best restaurants in California. She likes to discover new places and those in our capital are not any exception. Being part of our team and contributing with writing makes her feel more connected to the city. She enjoys exploring local pubs and cosy gems and brings an exciting kind of variety to our project. Natasha (which is a short name for Natalia) is a professional pastry chef, an amateur photographer and food stylist, and as she says – just a simple Russian girl. Her love story with Bratislava started in 2015 with her first catholic Christmas: markets, sightseeing and romantic evening walks with her husband-to-be (who is, naturally, Slovak). Eventually she started exploring the city and the whole country, learned Slovak and got some new hobbies such as video making. Besides making videos and taking photographs she occasionally writes and is up for anything that can teach her more about Slovakia, its people and traditions. 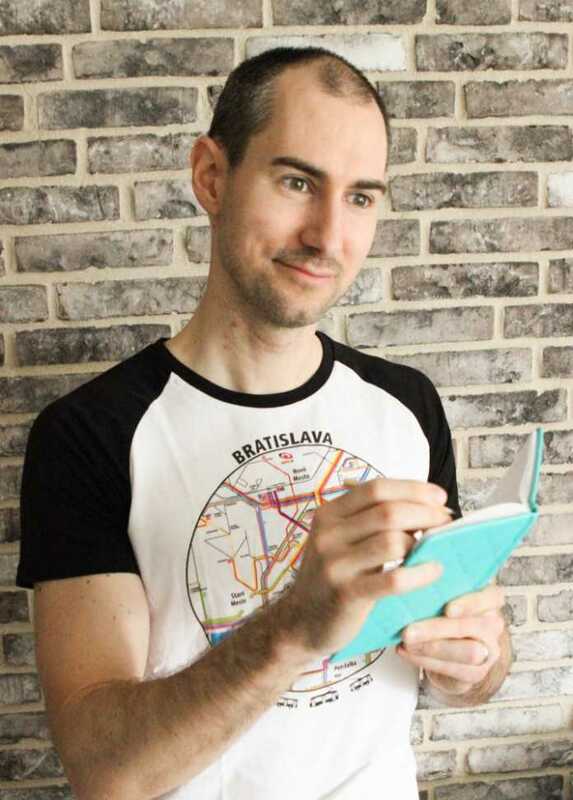 Bratislava was not always home for Martin who moved here from Prešov, but he definitely fell in love with the city. During his studies of masmedia in Košice, he found passion for literature, writing and creating videos. 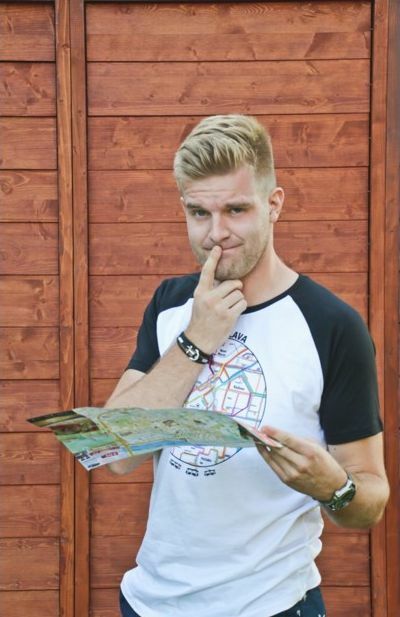 He likes to walk around and look for iconic places – there is still so much to discover! Martin is a sportsman and is ready to try any new extreme sport or adrenaline adventure. However (and you would not say that), you can also find him alone in a quiet cozy café somewhere in the city center reading a book and enjoying the coffee (and then you’ll probably see him running as he is usually late for work). Bratislava is not the only city he wants to explore, so he is spending every extra penny on flight tickets. Radka is a very enthusiastic person who loves to hang out with friends and meet new people. 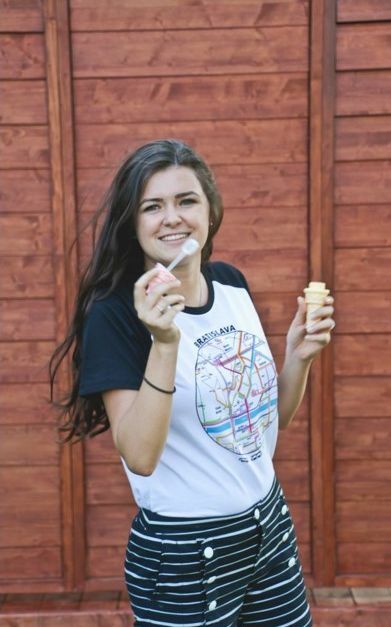 She is originally from eastern Slovakia but moved to Bratislava to study journalism and work. One of her biggest passions is taking pictures. She always tries to catch the moment to make it last forever and reflect it on the photo. If you think that she is sitting in her house all the time, you are very mistaken. She is a passionate traveler who always discovers new places, cultures and people from all around the world. Her motto is: „You live just once, so enjoy every possible moment.“ In the future she imagines herself living in New York in a nice house and kids playing in the backyard. Tomas was born and raised in Bratislava. However, it wasn’t until the blog that he became interested in discovering new places. He is fond of smaller, cozy cafes and bars, with live music and a glass of wine. He loves Bratislava the most just after the sunset, yet before it gets completely dark. As an introvert, he is a voracious reader that listens to podcasts, which to him are compact audio biographies. He is a sports enthusiast and a tennis buff, loves to work out before 6 a.m. in the garage. He claims to be doing that partly due to his strong predilection for chocolate and whatever his wife bakes. WANT TO JOIN US? CLICK HERE! If you have any comments or suggestions on topics to write about, please share your opinion. 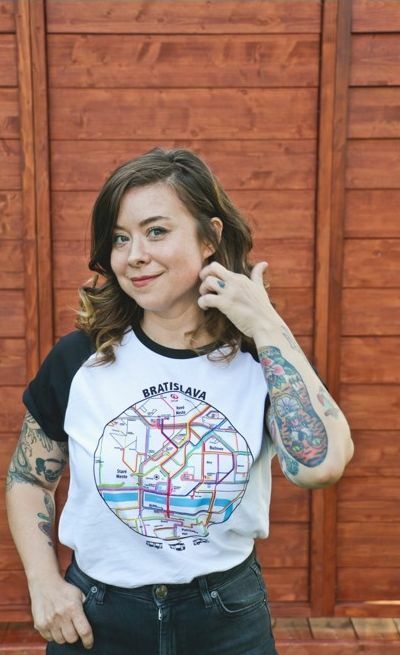 PS: Fancy getting this beautiful T-shirt with a map of Bratislava public transport? Click here!